Catherine Kemper spent 20 years researching the biology of small mammals until, in the late 1980s, she took a different direction in mammalogy and began to concentrate on cetacean research. 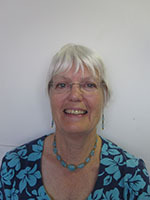 She has been Curator (now Senior Researcher) of Mammals at the South Australian Museum since 1983. The areas of cetacean research that Catherine has focused on are: pygmy right whale biology (morphology, stranding record, distribution, growth), bottlenose dolphin taxonomy, southern right whale status and movements in south eastern Australia, subfossil sperm whales, human interactions and marine mammals, and toxic contaminant levels in marine mammals. Catherine keenly supports the conservation of both marine and terrestrial mammals, and she is a member the Dolphin Trauma Group, a multi-disciplinary team of people studying the dolphins in the Adelaide region.